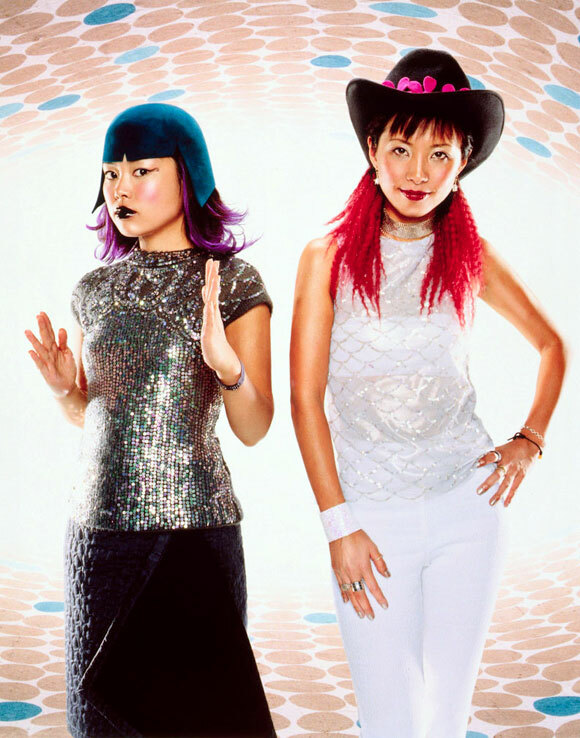 In 2002, after a brief period touring as a full band, Cibo Matto went on hiatus for almost a decade, the girls pursuing a number of solo projects during their temporary breakup. Yuka released three solo albums as well as a collaboration Yoshimi P-we (of Boredoms, OOIOO and Free Kitten) and an album with Petra Haden as “If By Yes” in this time, while Miho released one solo album and a couple EPs in collaboration with jazz guitarist Smokey Hormel. Although these projects outside of the group could potentially be of interest, this artist spotlight is on Cibo Matto, so in this week’s article we’ll be taking a look at this year’s Hotel Valentine – their first full album as Cibo Matto since 1999’s Stereo ★ Type A. Every month, Memories of Shibuya will be taking a look at a different artist or group, with featured songs – one per week – highlighting the peaks of their musical career. Cibo Matto is most well-known as a duo (as they’ve been for the majority of their careers), but for a brief period, represented in recorded form on the EP Super Relax and full-length Stereo ★ Type A, the girls were joined by Sean Lennon, Lennon’s IMA bandmate Timo Ellis and veteran session musician Duma Love to form a full band. This era also found the group branching out lyrically; the only song on Stereo ★ Type A about food, “Sci-Fi Wasabi”, sticks out like an awkward remnant of a past the group was defiantly breaking with, its clumsy rapping likewise coming off less like a return to form and more like a regression – to continue this series’ running Beastie Boys metaphor, the song comes off less like the spirited old-school revival of “Intergalactic” and more like tired retread “Ch-Check it Out”. However, it’s an incredible testament to how much better Stereo ★ Type A was than its preceding releases that this limp throwback sticks out as the only legitimate missed note; needless to say, the song below the jump isn’t “Sci-Fi Wasabi”. Last week, Cibo Matto asked us if we knew our chicken, assuring us that we have got to know our chicken. What came next for the group, though? Read on to find out! Are Cibo Matto Shibuya-kei? Not particularly. Are they Japanese? Only in a sense. Has their music influenced multiple generations of musicians in Japan and the West both, have they transcended humble beginnings in a little-known noise-rock group to reach international semi-celebrity, and did they pave the way for other Shibuya-kei artists even if their own status as “Shibuya-kei” is questionable? Yes to all. Ladies and gentlemen, give it up for everyone’s favourite sort-of-Japanese, sort-of-punk girl group from the ’90s!